With the 20th anniversary of the Rainbow Warrior bombing approaching (July 10th, 1985), there is a lot of movement in the email boxes of veterans from what I call the Greenpeace diaspora. I have received this announcement from David Robie, a photo-journalist who was on board during the Rongelap atoll evacuation of victims from the US Bravo atmospheric nuclear test, a few weeks before the boat was blown up by the French Secret Services to prevent the Moruroa protest. It is an updated version of David's old book. I read the original when it came out two decades ago, and I remember that it was making good reading. 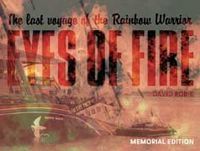 To mark the twentieth anniversary of the sinking of the Greenpeace vessel Rainbow Warrior by French secret agents, David Robie has republished his work Eyes of Fire: The Last Voyage of the Rainbow Warrior. This revised new edition includes a postscript by Robie that brings us up to date with some of the many players from this remarkable story and a preface by former Greenpeace Pacific coordinator Bunny McDiarmid. On 10 July 1985, French secret agents bombed the Greenpeace campaign flagship Rainbow Warrior in Auckland Harbour. The environmental ship had arrived in New Zealand to prepare for an anti-nuclear protest voyage to Moruroa Atoll in French Polynesia. Portuguese-born photographer Fernando Pereira died in the sabotage outrage that shook the world. The bombed ship was 'buried' off Matauri Bay in 1987 to form an ecological reef and a new Rainbow Warrior was commissioned. A decade later, under mounting Pacific pressure, France abandoned its unpopular nuclear tests. This book is the tale of the last voyage of the bombed ship to the Marshall Islands and the impact of nuclear testing on Rongelap Atoll and in French Polynesia. There will be more RW+20 announcements Chez Rémi in the coming days, I presume. 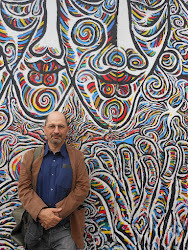 And perhaps also some personal thoughts (in French and/or in English).